The reticulated style crafted from gold plated brass metal helps in light the sweetness of the different colors and enhancing the attractiveness of the bangle that is actually awful. 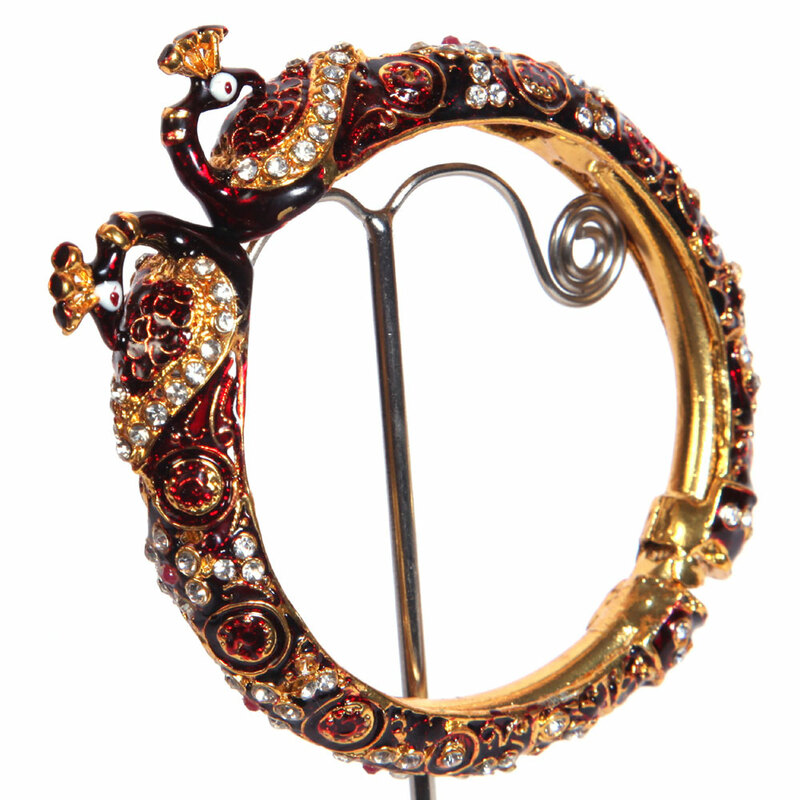 The brilliance of the red colour is perfectly balanced by the shine of white stones in this artistically designed peacock bangle. The interlaced design crafted Read More..from gold plated brass metal helps in highlighting the beauty of the contrasting colours and enhancing the overall appeal of the bangle which is truly awe-inspiring. Show Less..